At the end of June I had the opportunity to go to 080 Barcelona Fashion, which is the main fashion event here in Barcelona. As you may already know, I’ve been to a couple of shows in the past, but this time the experience was a bit different. I finally got an accreditation, so I went there as a blogger. 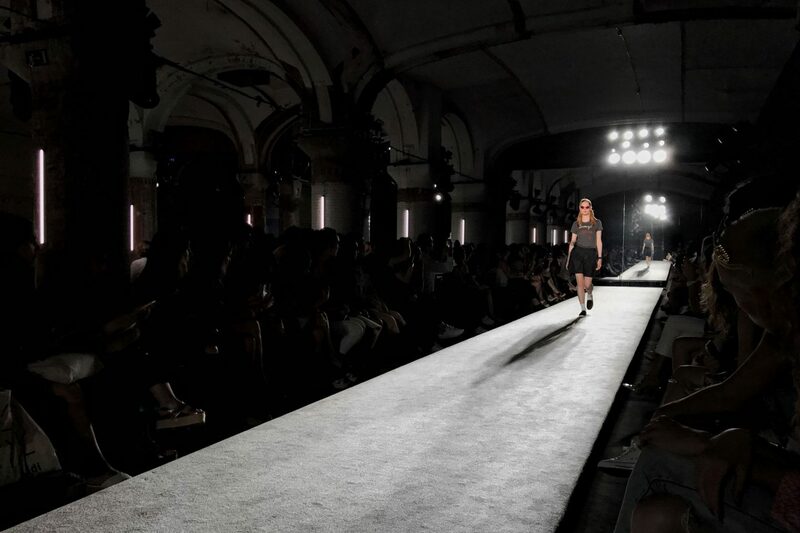 That was exciting for me not only because it was the first time I went to an event as a blogger, but because that means you can go to any runway show you want. I knew I wanted to share with you this experience and that’s what I’m going to do today (finally). Here are my thoughts on some of the shows that I enjoyed the most. This was the first show of the season. Oscar León is probably one of the main designers at 080. Despite the fact that I love his work, I have to be honest. For me, it was not a very impressing or surprising show. I am not saying that I didn’t enjoy it, I’m only saying that there wasn’t anything that made me think “wow! I love that!”. It is true that Oscar León has a very fixed style and he’s been able to create his own world, but because of that, I think he could do much better. I’m quite sure he could’ve taken all his ideas one step further. 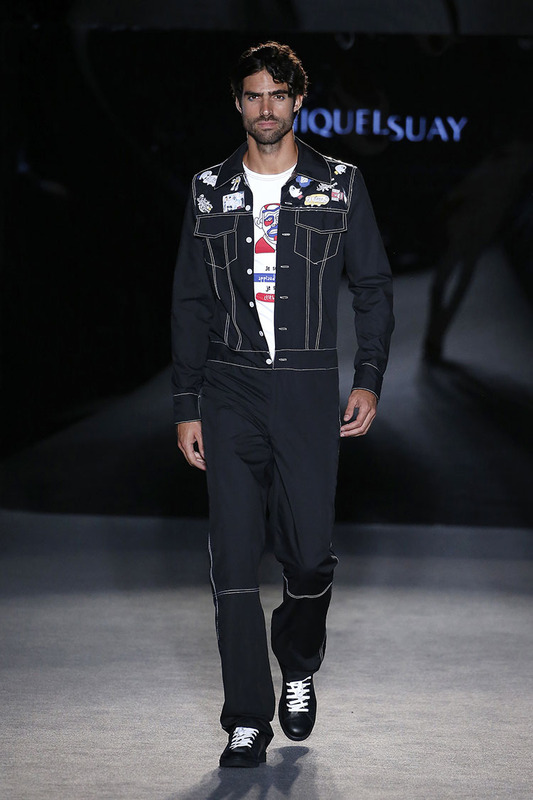 I had never attended one of his shows, but I knew he had been one of the most interesting designers last season. I have to say that even though my expectations were quite high, I was not disappointed at all. One of the best things about his designs are the lines and shapes he creates. I also love the patterns and colours he uses and how he combines them. For me, he adds a modern touch to a classic style, which is something that works very well. The combination of formal clothes and sportswear was also very interesting and it definitely follows the trend we’ve seen over the past few years. In January, I went to Jnorig’s show and right after that one Mans Concept Menswear presented their collection. 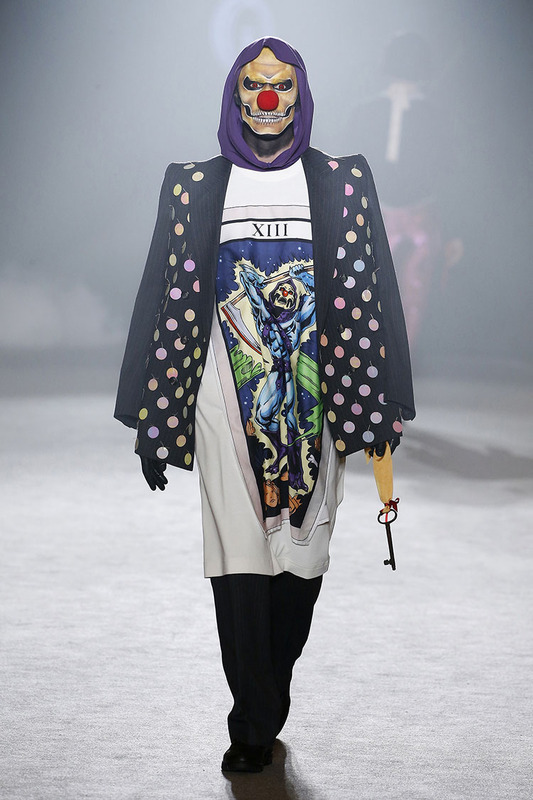 I had never heard of this brand, but I was very impressed by the concept behind their collection and how they managed to represent it. For this reason, I was looking forward to this season’s show. I loved it to be honest. It was inspired in Berlin in the 90s. Because of this, he used lots of straight cuts and clothes that reminded me of the army. You could feel the repression the designer wanted to express. The shoes used were also really cool. They were customised Dr. Martens basically, but they matched the vibe perfectly. Krizia is definitely one of my favourite designers. Her shows are always fun and very interesting in many ways. Unfortunately, I missed last season’s, but I’m happy I could attend this one. As always, her collection was very colourful and there were many different prints as well. Another thing I like about her is that she uses a lot of different fabrics in her designs. It is like a wonderful game of textures and volumes. Moreover, it was supposed to have a party vibe and it definitely did, although it was full of sports clothes. I don’t think I’ll ever wear a full Robustella outfit, but there are some pieces I’d be happy to cop. This show was quite good in my opinion and I genuinely think it had some really cool pieces. However, it was not really my cup of tea. Even though he definitely took some risks, it did not convince me. To be honest, I should also say that some items were amazing, such as the flames jumper you can see in the photos. The mixture of styles also caught my attention, which is probably the main reason why I’ve included this show in this post. You should definitely have a look at the whole collection and let me know what you think of it. 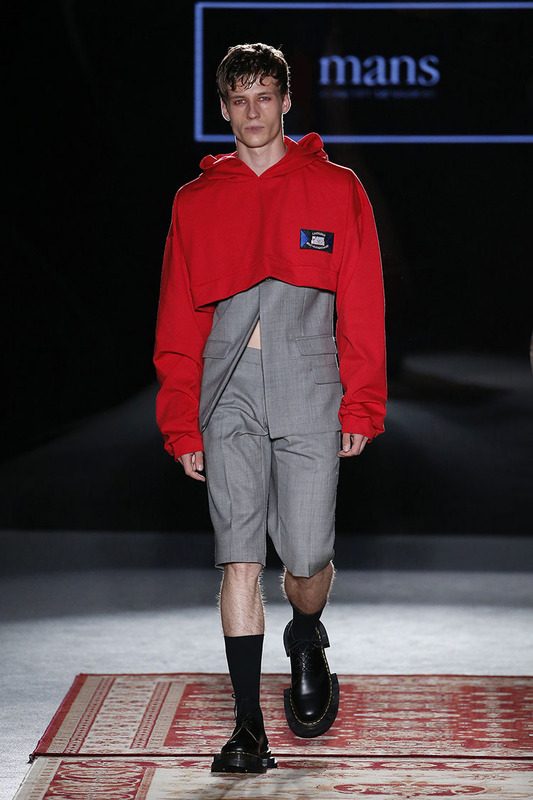 This is by far the weirdest show of 080 Barcelona Fashion. It was the first time I attended it and I don’t regret it at all. In my opinion it is the most exciting one because of the overall aesthetics. The atmosphere created during the runway show reminded me of Camden. Do you feel the same? The brand has its own style and most people won’t like it, but it is for sure one of those shows that no one should miss. I have to admit that I don’t even know how to describe the collection, so I guess I’ll just have to let the pictures speak for themselves. Custo’s show is the most exclusive one of the week because it is an invitation only event. However, I managed to get one and I was very happy about it. Again, it is not a designer I would wear nor that I really like. Despite that, I do think he has very strong aesthetics and concept in his mind and he makes the most of it all. His collections are always full of colour and shiny af. This one in particular was very futuristic in my opinion thanks to the metallic fabrics he used. The amount of sequins he added helped a bit as well. Overall, it was a great experience – it was boiling though haha – and I can’t wait for the next season. I hope you enjoyed this post too and that you got to know some amazing designers. Let me know what was your favourite one. Even though I did not talk about all the shows I attended, I did take some photos and videos while I was there. They are all highlighted on my Instagram so that you can check them out. I would also like to know what you’d like to see next on my blog. I know you want some street styled posts and I’m working on them, but you’ll have to wait for a little while.